Posted in Events, Invitations | Comments Off on Meet the Presenters & Join us for the Vol.10 Celebrations! Pecha Kucha Night Vol. 7: Midnight at the Mint! 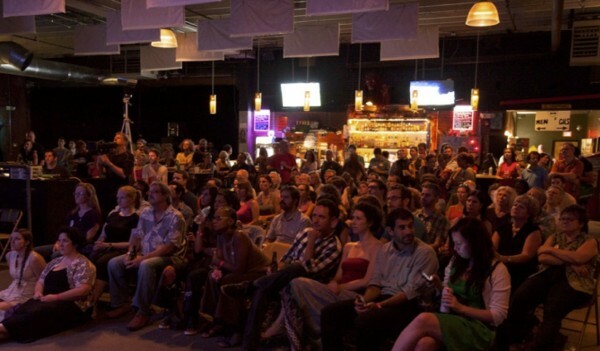 Pecha Kucha Vol.7 is going to be a very special one! As most of you know, the new Mint Museum building in uptown will have its Grand Opening on Friday, October 1. 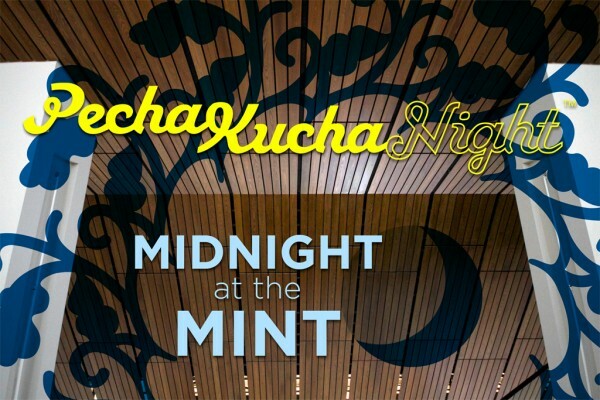 We will have a special Pecha Kucha Night in their main atrium, as a part of the 24-hour opening celebration. Be a part of this historic occasion – be a presenter! Share the stage on one of the biggest ever cultural events in town, as all the attention of the community and the media is focused there. We know you have amazing, brilliant, and wildly creative things to share – and this is your chance to do it! As always, the only limitations are 20 images, 20 seconds per image, for a total of 6 minutes 40 seconds. No other rules, except – make it extraordinary! Also note that this volume of PK would give preference to lighter and more performance-oriented presentations appropriate to the late timing of the event. Please note: We will be limiting the total number for Vol. 7 to a maximum of 12 presentations. A panel made up of artists, designers, and architects from Point8, CLT Blog and God City will be selecting the final list of presenters. The selection will be based on the quality of the entries, and the originality of the theme/ideas submitted. The panelists will work with would-be presenters on refining ideas & honing quality of presentations. Deadline for sending in the final presentation package: 5:00 PM on Monday, September 13. 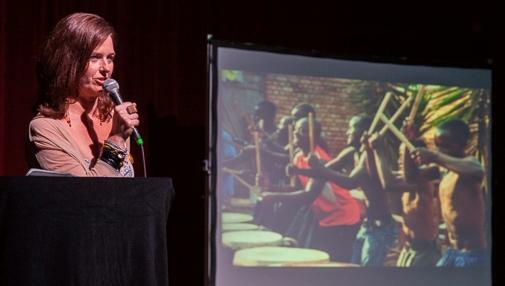 All point8/Pecha Kucha events are made possible by the voluntary effort of a few dedicated individuals. If you can help – with any of the various different things (like planning, design, publicity, volunteer-coordination, managing the event/venue, etc.) that go into the making of a successful event – please let us know. We are always looking for new people, ideas & voices. Posted in Invitations | Comments Off on Pecha Kucha Night Vol. 7: Midnight at the Mint! 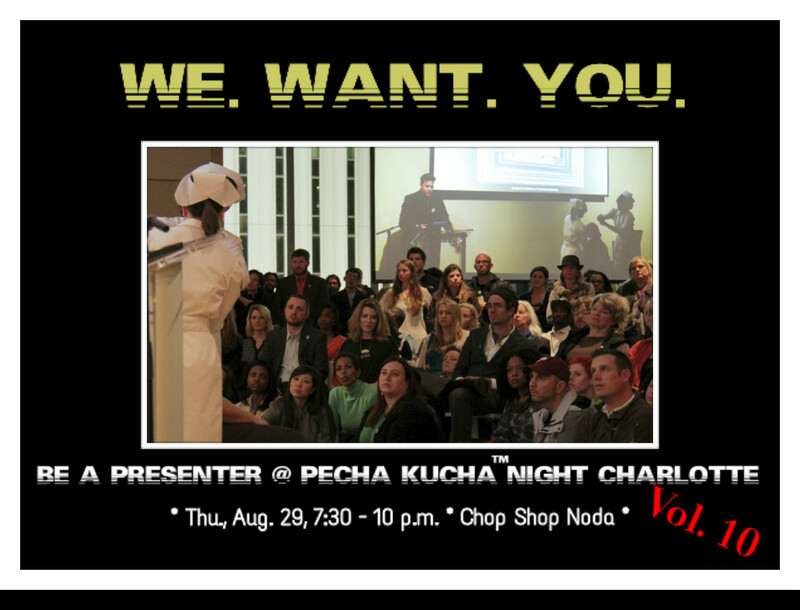 We are excited to announce the next Pecha Kucha Night! It will be on July 16, Friday. We know there are amazing, brilliant, and wildly creative things going on around town, and in your mind – and this is your chance to share it with the rest of the region! 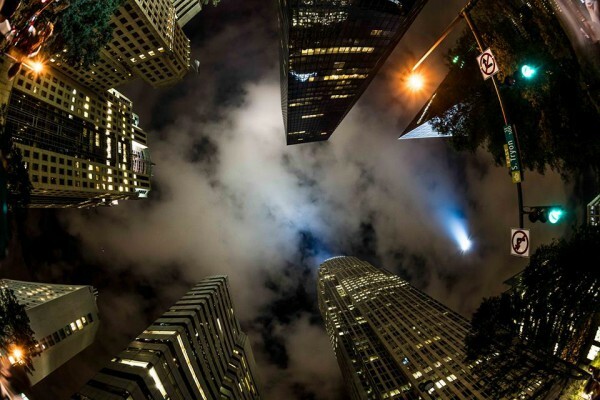 The only limitations are 20 images, 20 seconds per image, for a total of 6 minutes 40 seconds. No other rules, except – make it extraordinary! We will be limiting the total number for Vol. 6 to a maximum of 12 presentations. A panel made up of artists, designers, and architects from Point8 and CLT Blog will be selecting the final list of 12 presenters. The selection will be based on the quality of the entries, and the originality of the theme/ideas submitted. The panelists will work with would-be presenters on refining ideas & honing quality of presentations. Panelists and past presenters will share tips on preparing a successful presentation. Please attend if you are interested in presenting. Orientation starts at 6:30 PM and will be held at Dharma Lounge. 5 PM on Wednesday, June 30 is the deadline for would-be presenters to send in the final presentation package. All point8 /Pecha Kucha events are made possible by the voluntary effort of a few dedicated individuals. If you can help – with any of the various different things (like planning, design, publicity, volunteer-coordination, managing the event/venue, etc.) that go into the making of a successful event – please let us know. We are always looking for new people, ideas & voices. Pecha Kucha Charlotte has won this year’s Best of the Best (BoB) Award from Charlotte Magazine. Point 8 Blog wins the 2010 Charlotte Web Award for the Best Art Blog. Article in Crossroads Charlotte on last week’s forum. After a very successful series that pioneered Pecha Kucha Nights in the Carolinas, Point8 Forum is back with a new series, and this time we are doing it in collaboration with CLT Blog and Dugg Dugg. Mark your calendars, PK5 kicks off Thursday, April 8! We know there are amazing, brilliant, and wildly creative things around town, and in your mind – and this is your chance to share it with the rest of the region! The only limitations are 20 images, 20 seconds per image, for a total of 6 minutes 40 seconds. No other rules, except – make it extraordinary! We will be limiting the total number for Vol. 5 to 12 presentations. A panel made up of artists, designers, and architects from Point8, Dugg Dugg and CLT Blog will be selecting the final list of 12 presenters. The selection will be based on the quality of the entries, and the originality of the theme/ideas submitted. The panelists will work with would-be presenters on refining ideas & honing quality of presentations. If you are interested in presenting, we strongly recommend that you to attend this session – esp. if you have not presented before. Panelists and past presenters will share tips on preparing a successful presentation. Orientation starts at 6:30 PM and will be held at Dharma Lounge. 5 PM on Monday, March 22 is the deadline for would-be presenters to send in the final presentation package. All panelists will be selected and notified by March 31, 2010. All Presenters will be required to reach the venue by 6:45 PM.